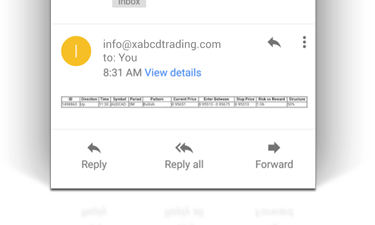 XABCD™ Pattern Indicators – All of our indicators are included in the packages. XABCD™ Position Sizing Tool for NinjaTrader (NT8) – An indicator for NT8 that automatically calculates your position size by a percentage of risk. On-Demand Mentoring (HD Videos) – Specific niche topics at your fingertips when you need them most. Scanning for XABCD™ Patterns – Find out different ways you can scan for XABCD patterns. Live Chat – Would you like to speak to someone right now? Members – Login – Login to the members area. Alerting to the biggest and more obvious patterns that pass our verification checks. 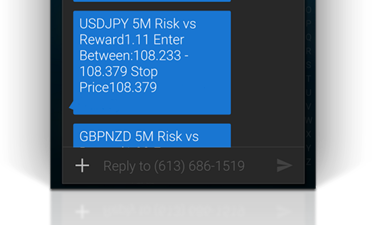 Get alerted to patterns as they come out via our website, email or international sms. These are not signals but is a way for you to narrow down 1500 patterns a day to a smaller amount of 10-30 which you can then do your analysis. What do we look for to get these patterns filtered down to a more manageable amount? How much room is there in the reversal area of the pattern? The idea here is that if the pattern is expected to reverse on a time, chances are that isn’t going to happen. Why not just remove those types of patterns from the ~1500 each day and look for patterns that allow more wiggle room. That’s what we’ve done and is one of the conditions we look for with each pattern. How fast is the last leg of the pattern formed? Need to filter based on time frame or symbols? Yes this can be done too! If you only trade the 1 hour and certain symbols, you can set that up in the pattern filters too. Check the time frames you trade and the instruments and your all set! … and many more conditions! We don’t publish everything detail we look for with the pattern for obvious reasons, but you will be taught in our education center most of the key things you will need to determine when trying to figure out the structure rating on your own by looking at a chart. Most traders do not want to sit around the computer for hours and hours scanning charts. 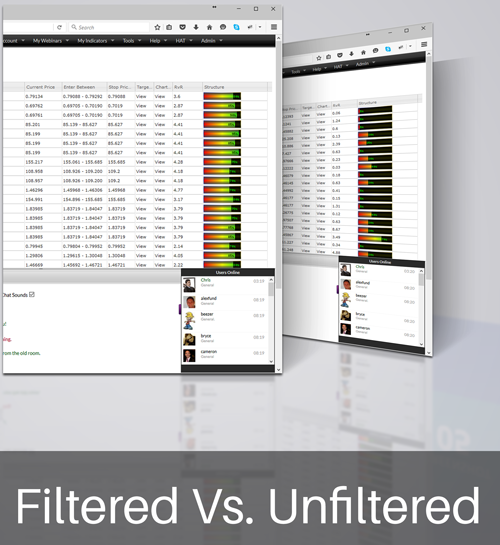 The goal of our filters is to save you time by filtering out ~1500 patterns a day to the top 10-30 each day. Then you can have these filtered patterns alerted to you through our community, email or international sms. Get alerted to all the new patterns that meet your filters. Some will really get your attention, especially those from video game voice over actor Jon St. John who recorded the voice for Duke Nukem. Your email alerts will trigger when they meet your filter conditions. Email alert filter conditions can be set differently than your web based alerts. Eg. Setting your structure rating to 80% can give you a much more meaningful alert. That’s right, our SMS alerts work internationally. It won’t matter if you are in Kenya or in the UK, you’ll be covered. 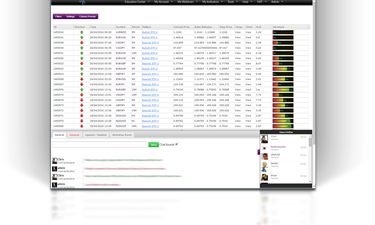 Set your structure ratings to 90% and you’ll really want to pay attention with these. SMS alerts are available for our 6 month and 12 month members. See our membership details. Scanning XABCD patterns through our web based community would have saved you [save_month] minutes of analysis in the last 30 days. This is a live statistic that is updated every 24 hours automatically. This is how we leverage technology to assist in our pattern detection. In the past 24 hours – Updated every 15 minutes. These are the patterns that have passed our verification checks as we take an individual look at each pattern and compare it to all other patterns in our database. The percentage of patterns that completed a 15% reversal (measuring C to D) was 91%. This is not hitting a target, but just looking at how many had reversed. Results can of course be different depending on your trade management if you get more break-even trades or less etc. This statistic is updated every 15 minutes. Number of patterns on a 30M or higher chart with high structure in the last month. Number of patterns on a 60M or higher chart with high structure in the last month.